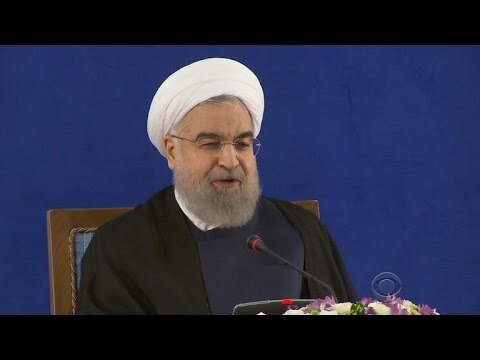 Iran: Does the Rouhani Win Matter for Human Rights? When the 2017 election season kicked off April 21, Iranian President Hassan Rouhani did not go into the race possessing an enviable track record of defending human rights. While he achieved his 2013 election campaign promise of easing international sanctions after securing a nuclear agreement with China, the European Union, France, Germany, Russia, the United Kingdom, and the United States, progress delivering on Iranians’ aspirations for greater rights has been few and far between. During his first term, security forces continued to harass, interrogate, and detain hundreds of activists, human rights defenders, journalists, and members of ethnic and religious minorities. The 2009 presidential candidates Mehdi Karoubi and Mir Hossein Mousavi, and the academic and artist Zahra Rahnavard, Mousavi’s wife, remain under house arrest. The judiciary repeatedly handed down long prison sentences and issued execution orders at an alarming rate, often as Rouhani’s administration stood silently by. Whether for tactical political purposes or genuine belief, Rouhani has rhetorically transformed himself. Now that he has won reelection largely on these campaign promises, his credibility as president is indelibly tied to his ability to deliver real rights reforms. And while he will confront the strength of unaccountable, rights-abusing institutions like the Islamic Revolutionary Guard Corps and the judiciary, Rouhani is far from powerless. He enters his second term with a popular mandate, a moderate-reformist majority parliament, and a nuclear deal that has survived US and Iranian presidential elections (so far). In summary, Rouhani has constraints but also agency – he should act like it to promote what the Iranian people want most: a genuine commitment to protecting their rights.